Allen Weinstein, the first chief of the National Endowment for Democracy, died yesterday. The logo to the left illustrates some of the anti-government protest movements that the Endowment helped bankroll (courtesy of the Voltaire Network). But helping topple foreign regimes that refused to kowtow to Washington has done little to advance self-government around the world. Ron Paul has been an outspoken opponent of the Endowment’s racketeering for decades. Few federal agencies have as much bipartisan support as the National Endowment for Democracy. Created in 1983, NED’s stated mission is to “strengthen democratic institutions around the world through nongovernmental efforts.” In actuality, NED allows U.S. politicians to meddle in foreign elections at the same time they pretend to be spreading democracy. NED’s first chief, Allen Weinstein, later explained the Endowment’s rationale in 1991: “A lot of what we do today was done covertly 25 years ago by the CIA.” NED aimed to be cleaner than the CIA — not the loftiest standard. NED was created because Reagan believed the federal government was not doing enough to promote democracy abroad, despite the fact that the U.S. Information Agency, the Agency for International Development, and various education programs were conducting scores of exchange programs, sending bargeloads of publications overseas, and whooping up the American Way around the globe. NED seeks to provide the U.S. government with deniability for its foreign meddling. 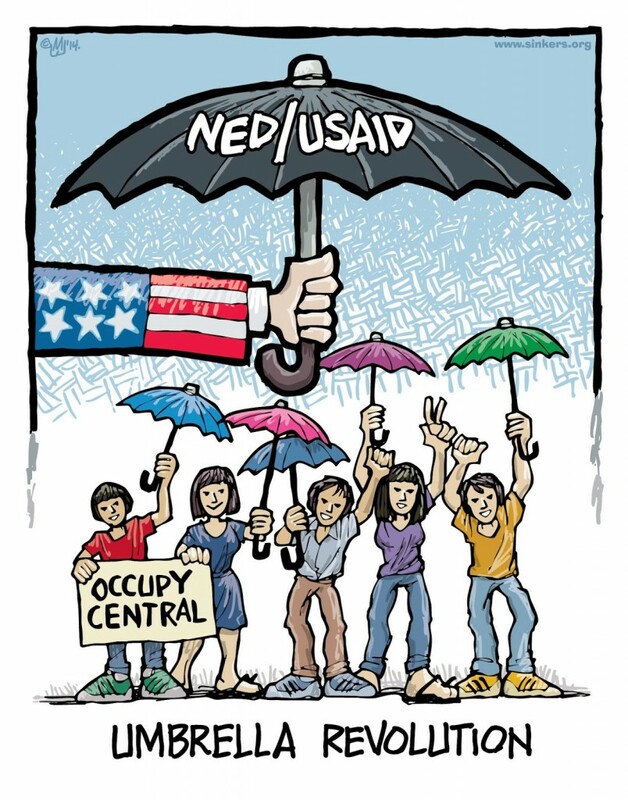 NED describes itself as a “private, nonprofit, grant-making organization created … to strengthen democratic institutions around the world.” In reality, it is a government agency that launders U.S. tax dollars, removing the taint before foisting them on U.S.-favored groups abroad. NED was designed to be largely unaccountable. It is largely a conduit of taxpayer money to the national Democratic and Republican parties (through organizations they created after NED was authorized — the International Republican Institute and the National Democratic Institute), the AFL-CIO, and the Chamber of Commerce. These four organizations have received most of the money NED has distributed, much of which they passed on to consultants, foreign political parties, and other organizations. For many years, its board of directors consisted largely of NED grant recipients. The agency was controlled by lobbyists, political hacks, and interest groups on its gravy train, ensuring no shortage of “honest graft.” Perhaps Congress believed that having a hand in the till is necessary to truly understand the agency and its mission. NED’s second president, Carl Gershman, a former executive director of the Social Democrats USA, a splinter group of the Socialist Party, asserted in August 1984 that direct federal aid to private organizations would allow the United States to “engage in the competition in the world of ideas.” He complained that “the word ‘democracy’ has been appropriated by its enemies” and justified the new agency: “While only Washington can provide adequate funding, the nongovernmental nature of the endowment allows for more flexibility.” NED and its advocates talked as if the idea of freedom could not compete without a government subsidy. But people in East Europe were bitterly opposed to Soviet rule not because they received American-subsidized pamphlets but because they hated being oppressed. The legislation that created NED prohibited the agency from interfering directly in foreign elections: “Funds may not be expended, either by the endowment or by any of its grantees, to finance the campaigns of candidates for public office.” Yet NED intervened in the 1984 Panamanian presidential election, shuffling $150,000 to support Nicholas Ardito Barletta, the candidate favored by the Panamanian military. At that time, the U.S. government opposed military rule in Panama. After NED money financed a huge May Day rally for Barletta, U.S. Ambassador James Biggs wired Washington, “The embassy requests that this harebrained project be abandoned before it hits the fan.” Though Barletta won the election, he was later deposed by the military. Another NED target — also a democracy — was Costa Rica. Even though Costa Rica had been a democracy for almost a hundred years, NED money poured into the coffers of the opposition in the mid-to-late 1980s. Almost half a million dollars in NED money was forwarded through the International Republican Institute (IRI) to the Association for the Defense of Costa Rican Liberty and Democracy, widely perceived as a front for the conservative Social Christian Party. Rafael Angel Calderon, the party’s presidential candidate, personally received almost $50,000 in NED funds. Seven Costa Rican legislators complained to the U.S. Congress that the organization “used the [NED] funds to prepare for the 1990 elections.” Costa Rica’s president, Oscar Arias Sanchez, may have been targeted because he failed to support the Reagan anticommunist agenda in Central America. Rep. Jim Leach (R-Iowa) complained, “I think it’s unseemly, both politically and constitutionally. Here you have the Republican Party involved via the IRI with the opposition to the government in power, in a country that is the strongest democracy in Latin America and where the head of state won the Nobel Peace Prize” for his peace plan to end the conflict in Nicaragua. 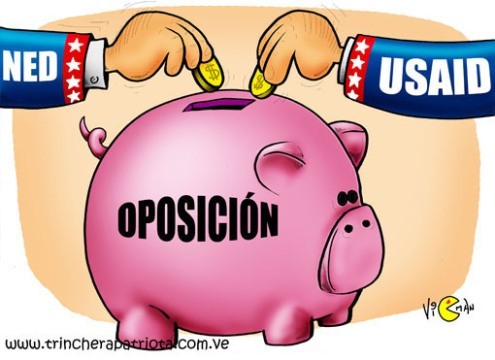 In late 1988, Reagan requested and Congress approved $2 million “in support of organizations opposing the Sandinistas” in the 1990 elections. Sally Shelton-Colby, an NED director, explained, “There is a lot of Soviet and Cuban money coming into the Sandinistas. This is an attempt to balance that money by helping the democratic forces.” The existence of Soviet aid apparently nullified the U.S. statute book. When the agency gave $100,000 to a paper owned by Chamorro, it claimed the handout was nonpartisan assistance, even though the paper did not offer “equal space” to the Ortega campaign. The U.S. aid went into the coffers of UNO, the coalition of parties and groups supporting Chamorro. Elizabeth Cohn, a professor at Goucher College, noted, “New organizations sprouted in Nicaragua and NED was first on the scene as their primary, sometimes only, funder. NED monies mobilized the opposition and with the enormous amounts of money NED funneled into Nicaragua, they essentially bought the election.” NED’s Gershman justified the agency’s actions: “If we’re not going to enter into those situations — supporting democratic groups — we would not be doing our job.” NED’s supposed “job” counted for far more than mere federal law. Unfortunately, NED did not acquire the habit of statutory compliance as it aged. In the new century, the agency has been involved in scandals in Venezuela, Iraq, Ukraine, and elsewhere. But it remains popular in D.C., in part because it permits politicians to preen as world saviors. There is no honest way to “fix” foreign elections. Any such interventions will be plagued by mendacity and deceit. Rep. Hank Brown commented in 1984, “It is a contradiction to try to promote free elections by interfering in them. But this is exactly what NED has done.” NED is long overdue for abolition. 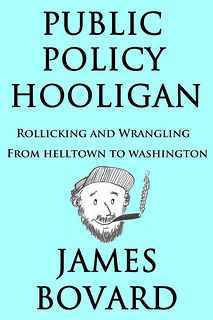 James Bovard is the author of Attention Deficit Democracy  as well as The Bush Betrayal , Lost Rights  and Terrorism and Tyranny: Trampling Freedom, Justice and Peace to Rid the World of Evil (Palgrave-Macmillan, September 2003.